There are many factors that could be the culprits to your email marketing dilemma. Keep reading while we dive into the 12 easiest tweaks you can make to your email list to skyrocket your open rates. Your email subject line is one of the single most important aspects of your entire email. It’s your first impression, and you shouldn’t take it lightly. Think about every email that lands in your inbox on a daily basis. I bet you’re swamped, daily. Having a challenging time attempting to keep up with them all. And I bet you only open emails that immediately grab your attention and pull you in. By 2019, it’s expected that we’ll be receiving 117 emails per day. So if there was a time to stand out – now would be the time. Crafting the perfect subject line is almost a science. There are many variables that’ll be deciding factors whether your email gets opened or read. So what makes up an outstanding subject line? Never underestimate the power of an awe-inspiring subject line. It can have catastrophic consequences when done incorrectly. A/B test different subject lines to see which ones convert better with your specific audience. And check out how your emails may appear on mobile devices. There are countless tips and tricks to perfect magnetic subject lines. But ultimately, it’ll differ from business to business. And you’ll find what increases your open rates best in time. If you want to reignite your open rates – segmenting your email list is a no-brainer. Every email is relevant when you segment – and it’s proven to give you higher open rates. 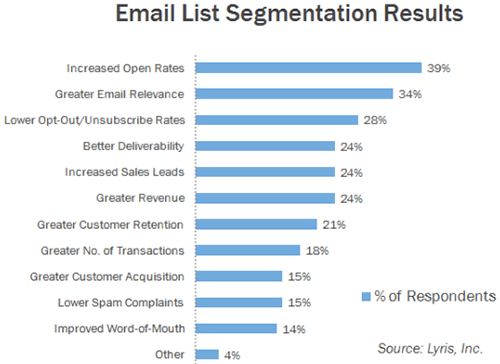 Segmenting your email list also allows you to personalize your emails. In a way that’s impossible when you send everything out to your entire list. A study found personalizing your emails increases your transaction rate and revenue 6X! There are endless ways to segment your email list. But there are two ways that are more effective and can improve your open rates drastically. The first way is when you group together your subscribers into different categories. You base it on their pain points, desires, likes and dislikes. Second, you can group them by the content upgrade they opt-in for. You can even group together several content upgrades if they’re related. Then create a segment for anyone who opts into one of those content upgrades. More than likely, you have a percentage of your email list that hasn’t opened your emails in months. 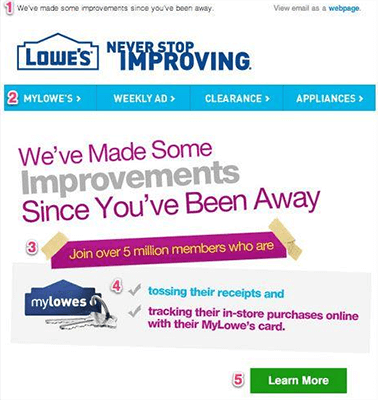 Not only are they dragging down your overall open rate, but they’re also impacting your click-through rate. Some email providers will make this easy to “clean up” your list, but regardless – you want to go about it the right way. However, you don’t want to go on a deleting spree right off the bat. Sure, some of these people will need to be weeded out. They may have only signed up for your list for the sole purpose of snagging your hottest lead magnet. But, a good chunk of them may have just forgotten about you. Or another factor caused their lack of engagement. Your best bet is to send out a strategic email to win them back. This will also help to trim the fat. Leaving you with only the people who want to be on your list and are on their way to becoming raving fans. Whichever method you use, don’t be alarmed when you do lose some people off your list. But it will be well worth it in the long-run when a good percentage of people come back to you. And they become active and engaged with your email list more than ever before. One of the first things you learn as a business owner or blogger is to find your target audience or target market. Then you can find their pain points and get inside their heads to know and understand them better. Your email list is no different. Because you own your email list (unlike Facebook pages and other social networks that you’re rocking), it’s the best place to build a dedicated fan base. Not to say that Facebook pages, Facebook groups, and Instagram aren’t excellent marketing tools – they certainly are. But with your email list, you have endless options. You have complete control. You have the opportunity to draw people in with compelling email campaigns. And this leads to creating a group of raving fans! Raving fans who will be sitting at home waiting for the minute your weekly emails hit their inbox. Your email list is made up of people all over the globe. Something we forget when publishing that awe-inspiring email we slaved over for hours. You must take into account different time-zones. And the optimal days and times for your audience. Since only a small percentage (if any) live near you. Some email marketing providers will deliver your email campaigns at a particular hour. Such as 10 am – based on their time zone. Some email providers go as far as to analyze the data. Then they send out emails when their subscribers are most likely to open and click-through. While many studies differ in results, ultimately you’ll have to find what works for your audience. But there are countless studies done that give you a starting point. The one thing the many studies had in common was weekends were the worst possible time to send emails. Making weekdays your best bet to send out that drool-worthy weekly newsletter. But it’s important to note that these studies were done with someone else’s email list – not yours. So, use this information as a starting point only and experiment by sending emails on different days, and at different times. If you want to land straight in your subscriber’s junk pile – then stick with a Gmail, Hotmail, or Yahoo account. Using a domain email address shows you’re a professional who likely has something of value to say. But, it also will keep you out of the spam filter. Because let’s face it: if you’re not showing up in their inboxes, your open rate will be 0%. You can use something like Google G-Suite, where you get your own domain email for $5/US monthly. Alternatively, you can go through your web host. Depending on your web host, you’ll likely end up with a free domain email and not need to pay an extra penny. Although, for security reasons, it’s recommended that you use a different company to register your domain. This will help tremendously with your deliverability rate. It’s not foolproof – but it gives you a leg up on your competition if they don’t have their own branded domain email. Over 20% of emails don’t make it into their subscriber’s inboxes. Let that sink in for a moment. That’s 20 people out of every 100 who aren’t receiving your emails because of delivery issues. Making this the most crucial step in improving your open rates. How can you increase your deliverability rate? If you want to avoid letting your email list go stale, being consistent is crucial. 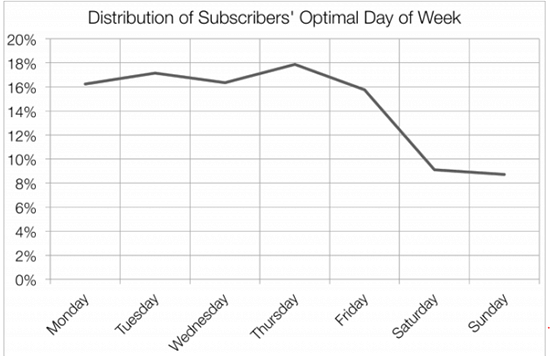 Your subscribers will grow to expect your emails on certain days, and even at certain times. These are the people who will eat up your content, freebies, and paid products or services. You don’t want to leave them hanging. The more you show up in their inboxes (within reason, of course), the more likely they’ll recognize your name or brand. And of course, the more likely they’ll open your emails. However, if you do end up falling off the face of the earth for a period of time – don’t give up. Jump back on that bandwagon and start emailing your list again. They’re all human, they will understand. And if they don’t – they’re not meant to be on your list anyway. It’ll only make room for the people who are. Certain words trigger spam filters with any email service provider. Making it a top priority to get to know these words, and figuring out how to outsmart them. If your subscribers aren’t given a chance to open your emails – you’ll have an extremely low open rate. Something you see often is business owners asking their new subscribers to “whitelist” them. Sure, not everyone will do it – but it’ll make a difference for those who do! Pay attention to the words that set off a red flag when you’re crafting your subject lines and preview text. Some are guaranteed to land you in the spam folder, or Gmail’s “promotions” tab – while others aren’t as bad. You can suggest to your subscribers that they whitelist you by adding you to their contacts. Then it will say a bunch of things, and you’ll want to have them click ‘’ Add XYZ to your contact list”. 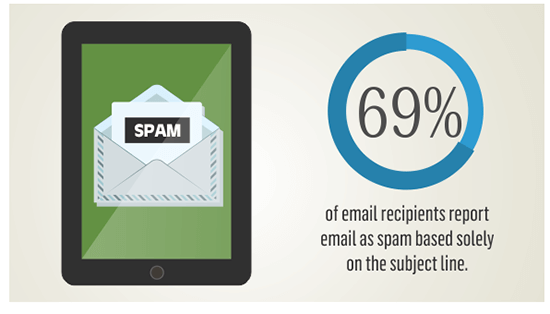 There are countless other reasons why you’re in your subscriber’s spam folder. But if you can beat the spam filters, you’ll be well on your way to improving your open rates drastically. It’s no secret that your email list needs to be nurtured in order to flourish. But with that comes balance. As we mentioned, it’s vital to be consistent so your subscribers don’t forget about you. But it’s equally as paramount to not overwhelm or annoy them with countless emails. We all have overflowing inboxes. So if you’re popping up every day, they might stop opening your emails. And if they do open your emails – it’ll be to scroll down to that dreaded unsubscribe button. In a HubSpot study, 78% of people unsubscribed because the emails were too frequent. Find the right balance for your audience. This may vary depending on your niche. But generally, once or twice a week does the trick. There may be a segment of your audience that wants to receive more frequent email updates from you. If that’s the case, you could segment your list by email frequency at the point of sign up using a checkbox. Or you could brand your ‘daily’ newsletter in a way that separates it from your regular newsletter – then offer it via different forms, landing pages etc. You could also add calls to action at the bottom of your regular emails. You could display opt-in forms for your ‘daily’ newsletter on your blog, after someone has already subscribed. You could use the ‘SmartLinks’ feature in the Thrive Leads WordPress plugin – this will allow you to display a new set of forms or CTA’s to those who have already subscribed. We’re all living busy, busy lives. Sometimes when a subscriber doesn’t open an email, it’s not from a lack of interest. Sometimes it’s because their inbox is bursting at the seams and they haven’t gotten to it yet. Perhaps it landed in their spam folder the first time. You may be worried that this is an intrusive method. However, I can assure you, it’s used by plenty of professional entrepreneurs and big companies. Like the re-engagement campaigns, you will likely have a few unsubscribes. Again, that’ll be a great way to weed out people who shouldn’t have been on your email list, to begin with. But for those who genuinely didn’t see the first email – they’ll be thankful you sent it again. And your open rate will skyrocket. The best practice for re-sending emails is to change the subject line, but keep the content in the email the same. 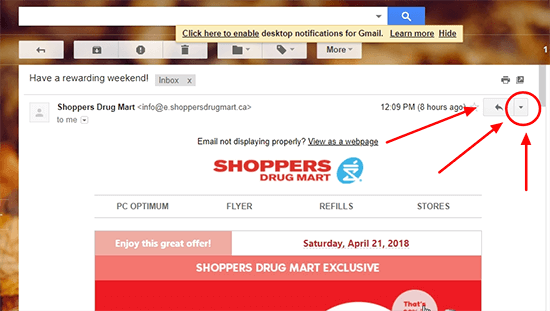 You can add a sentence at the beginning of the email, saying something like: “I noticed you missed this, and I didn’t want you to miss out!” Or you can leave it exactly the same, except for the subject line. We’ve talked in depth about the vital importance of a stellar subject line. But what about that sentence that appears in your inbox after the subject line? Depending on the length of your subject line, you may only have a few words for your preview text. But if your subject line is short and to the point, you’ll end up with almost a full sentence of “preview text”. Make the most of this space. Anything that summarizes your email in an intriguing manner would be ideal. Always try to pull your subscribers in with that small amount of preview text. You can get creative, but for a top-notch first impression – follow the same rules as you would for subject lines. Try to spark curiosity, mystery, and grab their attention with something that’s directly connected to the subject line. There’s always going to be those people who are freebie-hunters and couldn’t care less about your content or your business. The good news? You don’t want those people on your email list anyway! They’re not going to open your emails, become raving fans, devour your content, or ultimately, purchase from you. So in a way – it’s a blessing. 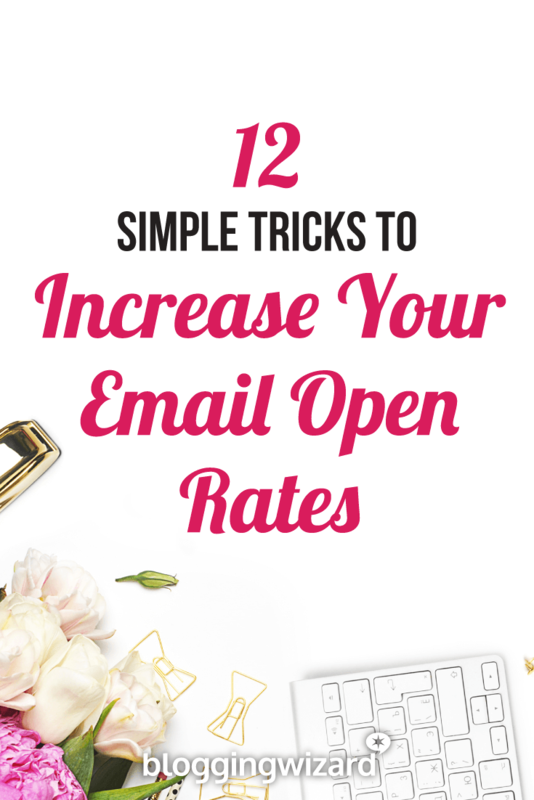 Increasing your email open rates doesn’t have to be a daunting task. 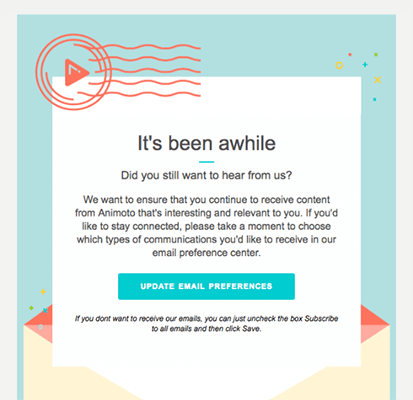 If you incorporate these small tweaks into your email marketing campaign you’ll see massive changes.